The Public Switched Telephone Network (PSTN). It’s been around forever. Since 1878 to be precise. To consider its demise seems blasphemous and even suicidal. I ask you to be brave and join me on a journey to explore the possibility of a world without the PSTN, and why you should care. In 1876, telephones were sold in pairs. If you wanted to talk to your sister on the telephone, you would need to lay cable between your house and hers. In January, 1878, the world’s first telephone exchange was established in New Haven, Connecticut. Call switching was performed manually. Operators manned switchboards repeatedly requesting “Number, Plee-uhz”. 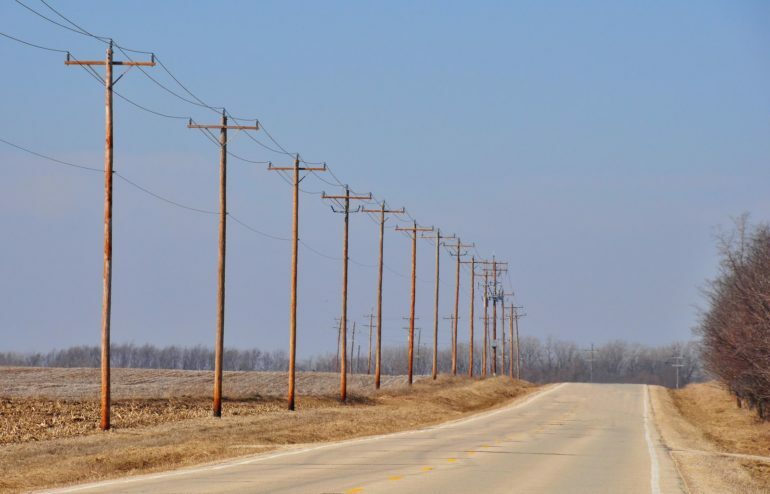 As the popularity of the telephone grew, iconic telephone poles became part of the landscape in both urban and rural areas in the United States. By the late 1880s electromechanical switches were introduced, and in the 1920s, rotary dials on telephones replaced the telegraph key on telephones. Crossbar switches that were capable of completing a call in a tenth of a second were introduced in 1935. Electronic switches that completed calls within nanoseconds were introduced in 1968. In the 1980s the industry began planning for digital services assuming they would follow much the same pattern as voice services, and conceived end-to-end circuit switched services, known as the Broadband Integrated Services Digital Network (B-ISDN). The B-ISDN vision was overtaken by the disruptive technology of the Internet. Next week we’ll discuss the role of the PSTN today. In the event of a physical disaster that makes it impossible to operate the enterprise from its regular location or to reach that location, both system types support the ability to take one’s desk phone to any location where there is internet service, plug the phone in, and continue to operate as though one was at their desk at work. However, if the location where the premise-based PBX is located suffers physical damage that impacts the electrical system, and/or the communications infrastructure, the entire phone system will be offline. Off premise phones plugged into the internet will not operate at all. With the hosted system, the PBX “in the cloud” generally has a hot spare redundant system typically located in a geographically distinct area that virtually eliminates the possibility of switching system failure. With a bit of stretch, let’s include the subject of feature enhancements. The hosted PBX solution will generally install feature enhancements and software patches during its regularly scheduled maintenance window. With the hot spare system taking over during that time, there is no impact to system users. This is especially important to enterprises with locations across multiple time zones or continents. Premise-based systems would need to schedule the upgrade at time that would cause the least amount of disruption to its users. Compu-Phone and CompuVoIP offer a comprehensive selection of premise-based and hosted VoIP solutions. We’d be delighted to talk to you about creating a future-proof solution for your business. Give us a call at (718) 230-9292 or visit us on the web at www.compu-phone .net. Usability is a mixed bag when comparing hosted and premise-based PBX systems. For the most part, the two system types support an equivalent set of the most sought-after business features. A company has 4 lines. A call comes in for John on line 2. After speaking with the customer, John wants his colleague, Sam, to pick up the call to continue the conversation. In the premise-based PBX world, John can merely call out to Sam saying “Sam! Pick up line 2, please!”. Sam has a button for each of the four company lines on his phone. To pick up the conversation, Sam merely needs to depress the button for line 2 and begin talking. In the hosted PBX environment, it is not that simple. To enable Sam to continue the conversation with the call, John would need to use the Call Park button to put the call on ‘public hold’. Sam can then access the call by depressing the Call Pickup key on his phone. It’s not a big deal. It’s just a different way of operating. For new enterprises not coming from the premise-based PBX world and are not accustomed to the ‘squared’ systems it won’t really matter. For customers that are transitioning from a premise-based PBX, it is something that will change. Both system types typically support softphone applications for Windows, IoS, and Android operating systems. Next week.. we’ll talk about survivability.. summarize, and wrap things up. So, you’ve decided to move to IP-based communications! Congratulations on having made that decision. 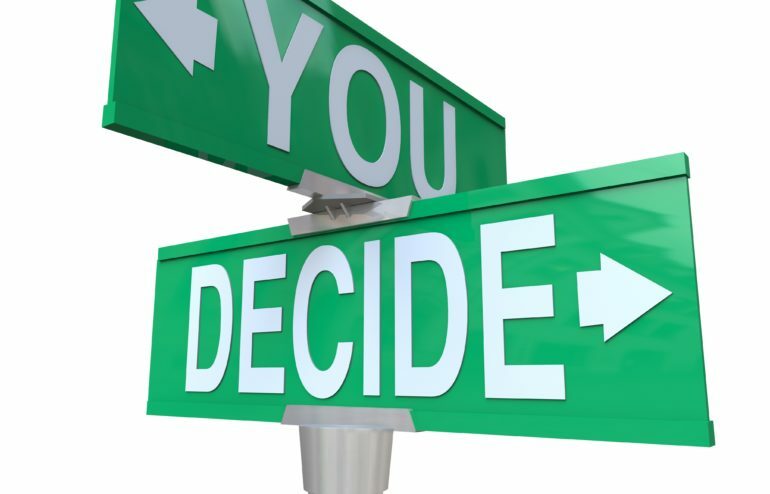 The next fork in the road involves choosing between a premise-based or hosted IP PBX. Read on. 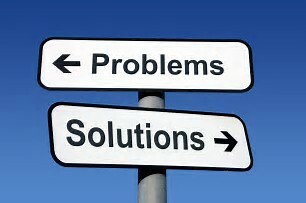 We’ll help you make your decision by providing some considerations that you won’t see elsewhere on the web. Let’s first outline the areas we need to consider. Then, we’ll examine each one in greater detail. The areas of focus include: CAPEX and OPEX costs, usability, and survivability. The two options diverge significantly in this decision space. The premise-based PBX option requires purchase of the PBX, a router, as well as a sufficient number of telephone instruments to meet your business’ needs. For a 75-seat solution, a typical premise-based PBX solution would cost $75,000 contrasted with the much lower $22,500 required for a hosted PBX system. The numbers tell an interesting story on the OPEX side of the spreadsheet. The premise-based PBX demands care and feeding. Software upgrades and patches, feature upgrades all require the expertise of a trained PBX administrator. Adds, moves, deletes also need to be processed by the PBX administrator. While this may not require a full time position, these OPEX costs are directly attributable to the premise-based PBX. The premise-based PBX would incur an additional cost associated with a maintenance agreement with the manufacturer to protect against hardware malfunctions. No such maintenance agreement would be relevant in the hosted-PBX scenario. This enterprise requires 20 telephones. 6 of those telephones are used actively each day. The other 14 are courtesy/convenience phones. Using typical pricing, a hosted PBX user would be charged 20 x $8 per extension and 6 x $30 for the active extensions for a total of $340 per month. The monthly recurring charges for the premise-based PBX would be 6 x $30 or $180 per month – a net difference of $160 per month, or $1920.00 per year. This small enterprise has 6 active phones. Using typical pricing, a hosted PBX user would be charged and 6 x $8 for each extension and 6 x $30 for the active extensions for a total of $228 per month. The monthly recurring charges for the premise-based PBX would be 6 x $30 or $180 per month – a net difference of $48 per month, or $576.00 per year. Are you considering making the move to cloud VoIP? You have, no doubt, heard your share of shining success and equally gloomy horror stories about colleagues that have moved to VoIP. And they are all true! Let’s look at some of the things that can go wrong with a VoIP implementation and discuss what steps can be taken to fix them or avoid them completely. Latency is the time between the moment a voice packet is transmitted and the moment it reaches its destination. When this time is long (roundtrip voice delays of 250ms), callers will notice echoes or other degradation in voice quality. Although the voice packets that make up a VoIP call travel within your network, they also are subject to delays outside of your network. You can reduce or eliminate latency by ensuring that voice packets are given high priority over other data packets in your network. Generally accepted guidelines tell us that if we can ensure that voice packets in your own network have transit latencies of considerably less than 150 ms, you can go a long way towards improving overall VoIP call voice quality. There are a number of proven techniques for prioritizing VoIP traffic. And you don’t have to be a trained network engineer to make this happen. A quality VoIP router, like the CompuVoIP cloud-based managed router, can solve many of these issues and help you achieve high-quality VoIP calls in your organization. Jitter is the measure of variability of latency across a network over time. The sending side transmits packets in a continuous stream and spaces them evenly apart. Because of network congestion, improper queuing, or configuration errors, the delay between packets can vary instead of remaining constant. Jitter is another cause of poor VoIP call quality. We again look to the VoIP router to come to the rescue. When a router receives an audio stream for Voice over IP (VoIP), it must compensate for the jitter that is encountered. The mechanism that handles this function is the playout delay buffer. The playout delay buffer (aka de-jitter buffer) buffers these packets and then plays them out in a steady stream to the digital signal processors (DSPs) to be converted back to an analog audio stream. These days, ‘business class’ internet service is just about ubiquitous. Make sure you are subscribed to your internet provider’s ‘business class’ internet service if you want to ensure high-quality VoIP calls. Chances are that you are already subscribed to this level of internet service as it usually includes symmetric bandwidth levels for both upload and download. At CompuVoIP, we assess your network and make recommendations and adjustments to ensure the highest level of VoIP phone call quality. Learn more about us at www.compuvoip.com.